Your boating holiday is important to you. 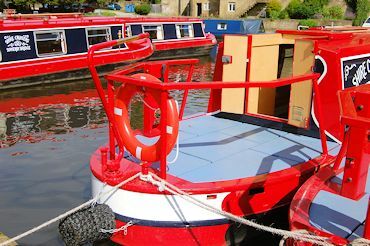 So it is important to us that your canal boat provides everything that you expect of it, and that our service is all that you require. 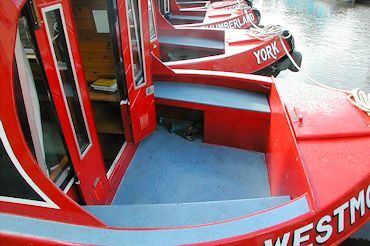 All our narrow boats are built and maintained by the same team which hands them over to you. All of us are focused on keeping the boats in first-class condition, well equipped and clean, and giving you really good, personal service. 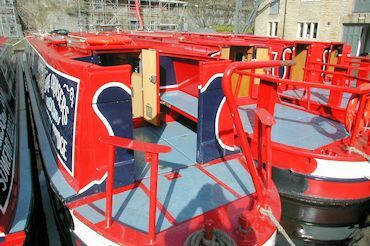 All the boats have forward facing windows to give you a view and radiator central heating to keep you snug, with showers, fresh water flush toilets, four-burner cookers, large electric fridges, lots of worktop and storage space, colour TV, radio CDs and hair dryers. Many have fixed double and/or single beds. A full inventory, bed linen and cruising guides are supplied (towels are extra unless booking from overseas). We put a lot of trouble into making the boats light and airy, seeming spacious and uncluttered whilst making use of every inch. You have at least 6’ 2” headroom in the cabin. The social centre of your boat, this has a settee dinette or chairs (see layout) upholstered in fabric. There is a table, which can generally be hidden out of the way when not needed. The saloon is usually at the front of the boat, and the large windows give views and plenty of daylight. There is a radio CD player, and a colour TV with DVD player. All boats have a well-arranged galley with everything you need. A lot of customers enjoy having time to cook properly (others head for the pub), and on our boats there is room for more than one person in the kitchen! There are plenty of shelves and worktop, all made in easy-to-clean laminate, or tiled. There is a stainless steel sink with hot and cold water, and a separate (rather slow) supply of filtered drinking water. The built-in cooker has 4 burners, grill and oven. There is a microwave. The fridge is electric, standard under-worktop size, (113l capacity) including adequate 2-star freezer compartment. There is a comprehensive inventory of crockery (hotelware), cutlery and cooking utensils – click for sample list. There is a shower with mixer tap, and either a conventional (though in some cases slightly smaller) shower tray with glass enclosure; or a sit bath; or a small bath with shower. All are emptied by an electric pump. There is a washbasin, usually set in a useful storage unit, a large mirror and a shaver point. The toilet has a china bowl and is flushed by fresh water into a holding tank big enough for a week’s use (we refund pumpouts on longer holidays). There is a water seal to reduce odours. Some boats have elegantly-named macerator toilets which look a little more like a domestic toilet. The larger boats have a second toilet in a different part of the boat with its own holding tank, and a small washbasin. There are dividing doors across corridors in order to give, where possible (see layout), independent access to toilets from bedrooms. Many boats have fixed double beds. 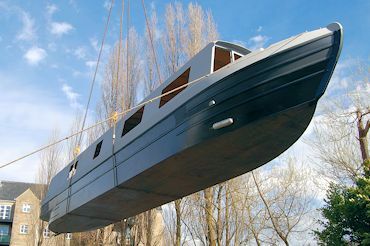 On others you can choose whether a cabin has a fixed double or two fixed singles – we set it up as you request (see pictures on individual boat pages). The beds go lengthways so there is always room to walk past. Fixed single and double beds have interior sprung mattresses, with underblanket, sheet, duvet, cover and one pillow per person (second pillows available on request on our bedding order form). Convertible saloon beds have thick cloth-upholstered foam cushions, with bedding as above. Top and bottom bunks have vinyl-covered foam cushions with duvets as above. All beds are 6’ 3” or longer. Double beds are about 4’ wide, and most lower-level singles about 2’. Top bunks are narrower, and are all removable when not required, leaving a wide single berth. We provide bed guards on request for children. 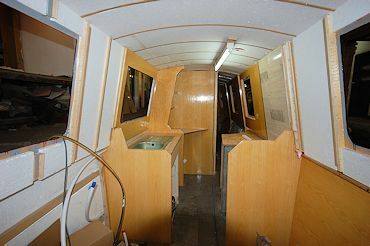 The hull sides, bulkheads and furniture are in ash-faced ply or blockboard (no MDF for us), with all edges capped in solid ash, and the cabin sides and ceiling are lined in pine boarding or ash-faced ply. People are frequently astonished at the quality of our woodwork and varnishwork. Kitchen furniture is in ply faced with laminate, with tiled or Formica worktops. Flooring is in carpet, with ceramic tiles, Amtico or vinyl in galleys and bathrooms. The front deck has seats either side, which also act as steps for getting on and off. The water tank and gas locker are at the front. The back end may be either cruiser style – a large flat deck with a handrail round the back, and entry points on either side; or semi-trad – seats out of the wind next to the steerer, with a small access area right at the back. The decks lead to the cabin via steps, quite steep at the back. 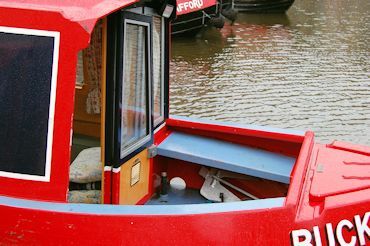 You get from end to end through the cabin, though there are narrow side decks for use when the boat is not under way. The roof is not to be walked on. There are LED or fluorescent lights in every cabin, with wall lights over settees and bunk lights by most bunks. Water is pumped by electric pumps from a large storage tank in the bow, which you refill each day. The cooker runs from propane gas cylinders. There is also a microwave. 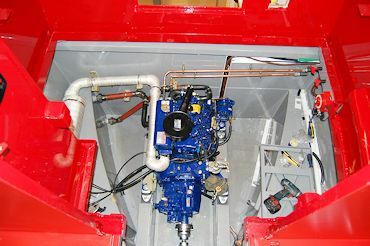 Heating is by a boiler (gas or diesel fired) which heats radiators through the boat. Hot water is in a storage cylinder like a domestic one but smaller, heated by the engine or boiler. Most bathrooms have a heated towel rail or radiator. There is a filtered drinking water supply. The colour digital TV has a special aerial to make the most of the often bad signal down by the canal, but it's not possible to get a picture everywhere. The TV includes a DVD player. The radio, usually FM, has a CD player and USB or other connector. There is a mains hair dryer - please don't bring your own unless it's under 1.0kw. You can bring hair straighteners or any other 230v appliances, up to 1000 watts. A cigar-lighter socket allows you to use any in-car chargers you have for phones etc. All boats have sockets for recharging phones, cameras and laptops, and for shavers. Some boats have USB charging sockets. Power points are UK 3-pin - adaptors for overseas are available on request. You have about 200 gallons (900l) of water, 60 gallons (250l) of diesel fuel, and 30kg of propane. You need to top up water every day or so, but are otherwise self-sufficient except on very long journeys, where you may need to refuel. Our boats have either Isuzu, Kubota or Kioti water cooled engines, all chosen for their superior reliability. They are operated by a single-lever control for gears (one each way) and throttle. You steer with a tiller, and your steering position right at the back gives precise control for awkward manoeuvres. The internal services run off a bank of 3 to 5 deep-cycle batteries, and there is a separate starter battery for the engine. The deckboards are sound-proofed underneath. We keep our engine compartments clean, and look after the engines just as carefully. There is a horn and a tunnel lamp. You don’t want a holiday on an old and tatty boat; but nor do you want a holiday on a cheap and nasty new boat. 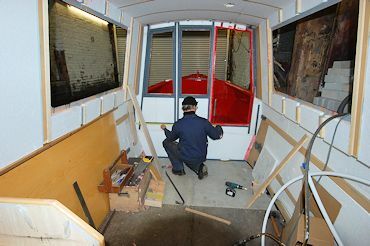 There are, indeed, two ways of building a hire boat. You can build quickly, using shop-fitting methods and lots of MDF. Advantage: you can say the boat is newish for a few years. Disadvantage: after that it starts falling to bits, the MDF swells up in the damp atmosphere, and doors and drawers stick. You do this if you think your hirers will wreck the boats anyway, or if you are building the boats as tax shelters for wealthy individuals. Or you can build carefully, with much forethought as to ways of making things strong enough to last, and attention to detailed ways of making things nice to use. Advantage: the boat is easy to maintain in good condition. Disadvantage: after a bit you can’t claim the boat is new - though getting your customers to spot which boats are the oldest can be tricky, because they are so well maintained. You do this if you think your customers will look after the boats carefully, and take pleasure in using things which have been well made. We do.